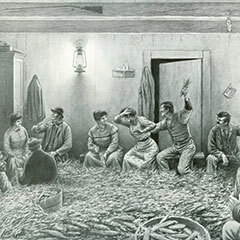 The importance of corn farming in Québec, like everywhere else in Canada, is such that it led to the corn roast tradition, or husking bee, which takes place at the end of harvest. In the past, it was a crucial chore, meant to garner and conserve corn. 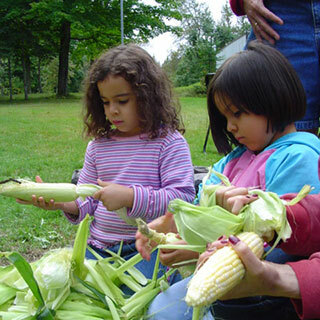 Farmers gathered their family, friends, and neighbours to shuck corn provisions for the winter. Songs and jokes made the job more pleasant. The roast was generally followed by a meal and dancing party, with plenty to drink. This festive spirit remains today, even if the notion of chore does not exist anymore. 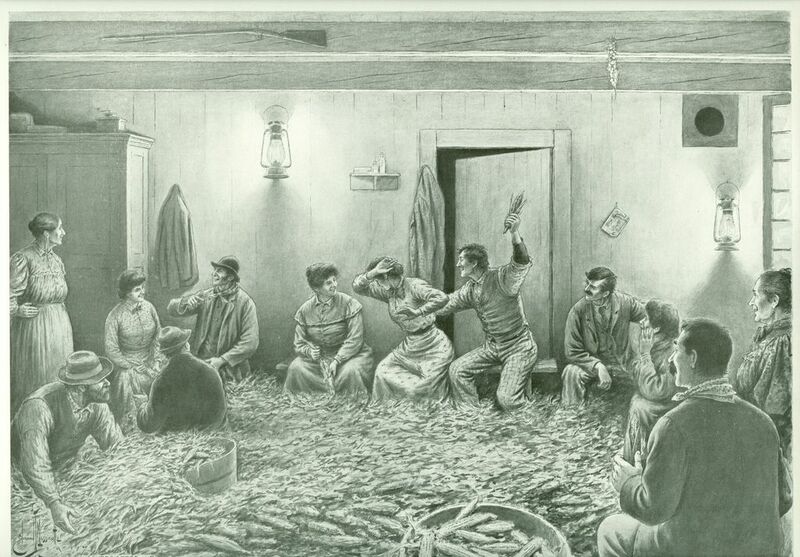 In Québec, the evening began by peeling the ears of corn, called Indian corn in the province, piled high in the centre of the room. 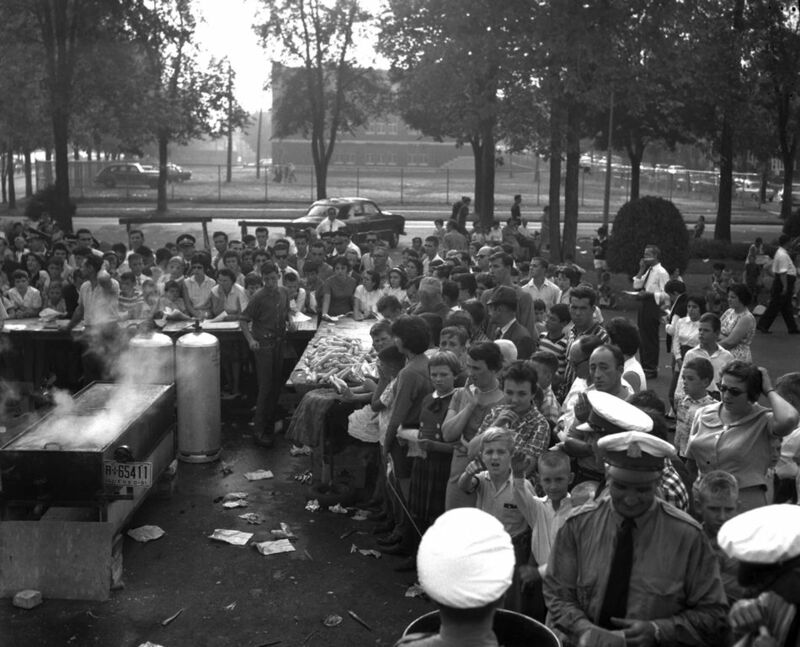 Until the 1950s, the corn roast took place in the barn. It then migrated to the kitchen, often considered the main room in a farmhouse. 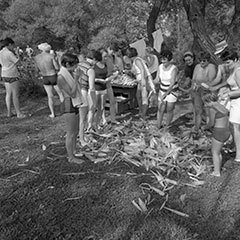 Among laughter and exclamations, the corn was boiled, roasted, or braised. The grains were shucked by rubbing two corncobs together or with a metal blade. The leaves were kept and braided. 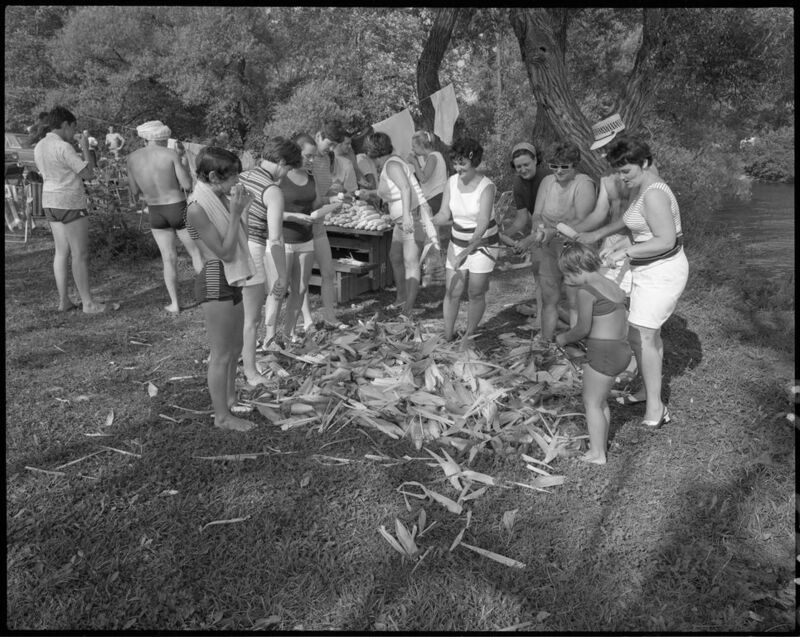 Corn roasts were great occasions for social or romantic encounters. Each “husker” dreamed of finding the red corncob, because this “love corn” granted whoever found it the right to kiss the person of his or her choice. It was also believed the red corn brought good luck and kept its owner from misfortune. 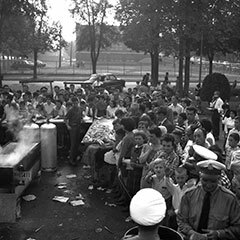 La chanson de l’épluchette (literally The Corn Roast Song), published in the songbook titled La gaieté canadienne : 40 autres chansons d’autrefois (Canadian Joyfulness: 40 Other Songs From the Past) by Conrad Gauthier, is among the traditional songs linked to this task. A duet (man and woman) singing L’épluchette accompanied by violin and piano. As cute, as elegant as you. The one who loves you will kiss you. If you became my girlfriend. The cute soft red ear. 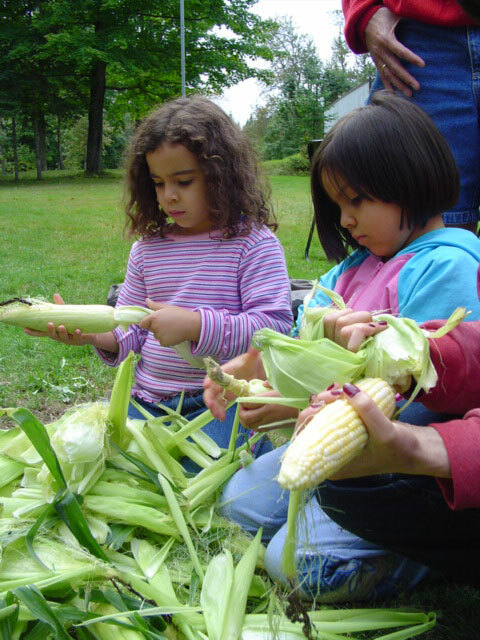 Maize is of great importance in Native American cultures. Here is a Wabanakis legend on corn. Among the thirteen moons of the Wabanakis nation’s calendar, Skamonkas, the September moon, is that of the corn. Wabanakis worshipped this plant as a precious gift from their First Mother. As legend has it, she gave her life to keep her children from succumbing to starvation, when hunting no longer sufficed to feed a growing population. First Mother died and her body was reborn in the shape of corn and tobacco plants. She taught them to keep the grains of corn to sow them again, ensuring they would never run out of food again. As for tobacco, it was used to support prayer as its smoke rose to the heavens.